BPA is a fully accessible facility, offering handicapped parking, wheelchair access, hearing assistance, sensory access, and accessible restrooms. If you have any questions or special requests, please don’t hesitate to contact the BPA Box Office prior to or during your visit at 206.842.8569. Wheelchair seating is available for users and their companions. Patrons with disabilities or special seating requirements should notify the Box Office at the time of ticket purchase so the appropriate location can be reserved for you. Special requests cannot be guaranteed without advance notice. Thanks to a generous grant from the Bainbridge Island Rotary Club, no one need ever miss a note! We offer Assisted Listening Devices (ALS) that can be used in a variety of ways: 1) Patrons are encouraged to bring their own favorite headphones to plug into our system. 2) Alternatively, patrons may use a pair of our headphones. 3) We also offer T-coil connection for hearing aids and compatible devices. Ask BPA Box Office staff for a complementary Assisted Listening Device. You will be given an FM receiver that has a volume knob and a headphone jack. This receiver is about the size of a cell phone and easily fits in your pocket, can clip onto an article of clothing, or can be set next to you. If you brought your own set of headphones, simply plug them into the receiver that you were given, and turn up the volume. If you are borrowing our headphones, they will already be plugged into the accompanying receiver. If your personal hearing device (hearing aid) is equipped with a T-coil, please inform the BPA Box Office, and an associate will give you an FM receiver with a neck loop. Worn around your neck, this loop will transmit audio from our speakers directly into your hearing aid or cochlear implant. To enable the T-coil setting on your personal hearing device, set your device to the “T” setting. This can be done by pushing a button, using a remote control, or toggling a switch. The “T” setting will turn off your device’s microphone, allowing you to listen directly to the audio from our speakers. If you have any questions about this please contact your audiologist to have the T-coil function enabled. Please return receivers, borrowed headphones, and neck loops to the BPA Box Office after the show, and please tell us about your listening experience. We appreciate feedback as everyone hears differently, and we are always trying to improve our system. Sensory Access is a nonprofit organization creating amazing experiences for children with Sensory difficulties. We feel strongly that everyone should be able to enjoy the magic of theater, the thrill of a concert, or the joy of a theme park. Children on the Autism Spectrum, Down Syndrome, Fragile X, and many other neurodevelopmental disorders have difficulty processing sensory information, which often gets in the way of enjoying events with their families. 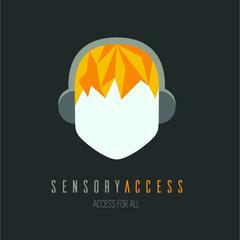 Sensory Access has a mission to change that, all while keeping each event, production and venue unaltered. Our staff will help find tools, tips and accommodations so that each family has the ability to enjoy events fully with their child. For theatre productions, Sensory Access certified Theatres receive social stories about the specific theatre, guidance on how to help guests enjoy the show, and breakdowns of sensory moments for each show in their season. Noise-reducing headphones and quiet fidgets are available to borrow. Dr. Daniela Ferdico is a neuropsychologist who owns a Neurodevelopmental Clinic in Bellevue, Washington and has been involved in music and theater for many years. Her mission is to help the families she works with have better access to family events through the work of Sensory Access! She is a past Island resident and has a special place for Bainbridge and BPA in her heart. Service animals that qualify under the Americans with Disabilities Act are always welcome at BPA. Service animals must be leashed or harnessed at all times and must also remain quiet for the courtesy of our actors and patrons. Please alert the Box Office at the time of ticket purchase if you intend to bring a service animal so that we may ensure that proper seating is reserved for you. In the event of inclement weather, performances will be canceled at the discretion of the production crew to ensure the safety and comfort of our performers and patrons. While we are unable to provide refunds for weather-related cancellations, ticket holders for any canceled performances will be welcome to join us on another date of their choice.